In 1867, Jules Verne made his first and only trip to America, traveling from New York to Niagara Falls. 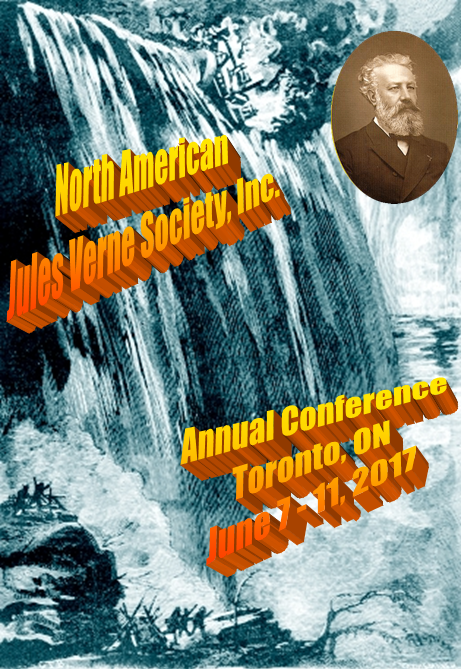 One hundred and fifty years later, the North American Jules Verne Society commemorated this event with our 2017 Annual Meeting, held from Wednesday, June 7 through Sunday June 11, 2017 at the Merril Collection of Science Fiction, Speculation & Fantasy, which is located @ 239 College Street, Toronto, ON M5T 1R5. -	Brian Taves, President, NAJVS Inc.
-	Brian Taves, NAJVS Inc.
-	Alex Kirstukas, NAJVS Inc.